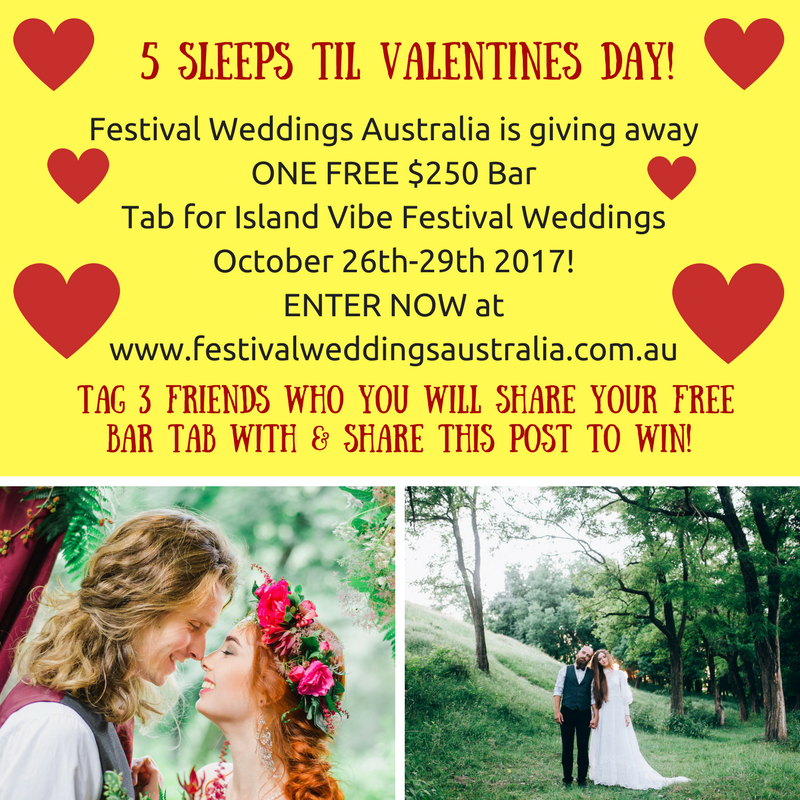 ENTER NOW TO WIN A FREE $250 BAR TAB FOR YOUR ISLAND FESTIVAL WEDDING AT ISLAND VIBE FESTIVAL 2017! Share this Post on Facebook & Tag 3 of your buddies to share in the LOVE! 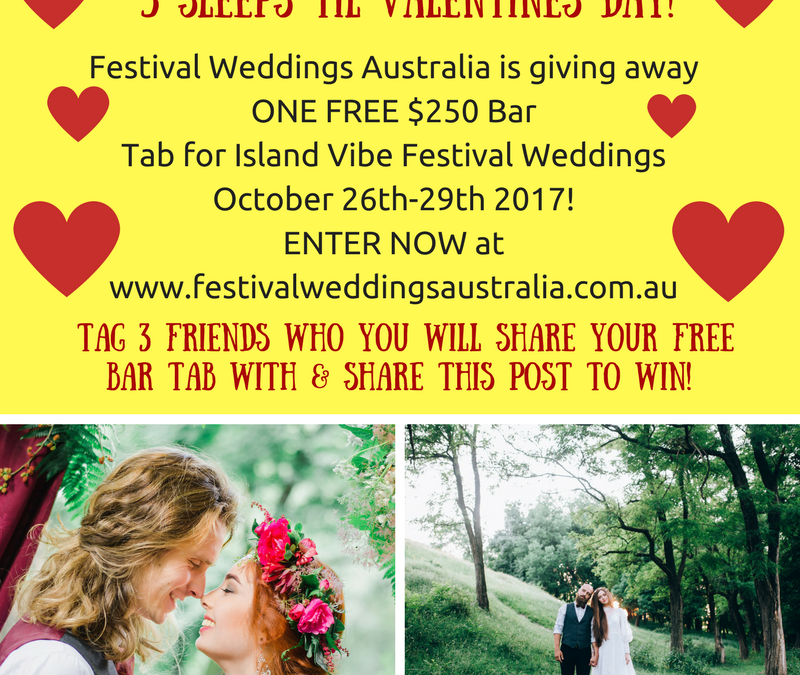 Then enter via the Festival Weddings Australia Website under WIN! WIN! WIN! Entries Close Midnight EST on 14th February 2017!